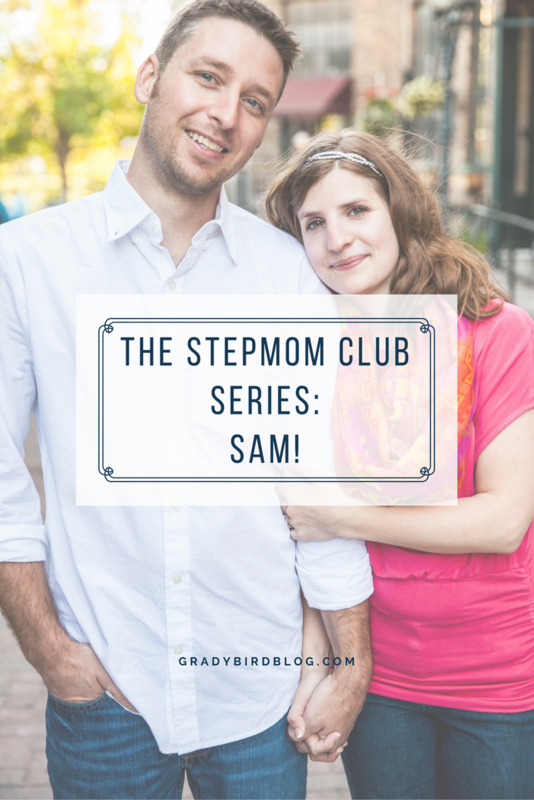 The Stepmom Club Series: Sam! So now I’m excited to have Sam, from Picture Almost Perfect, with us on the blog today to share her stepmothering story! 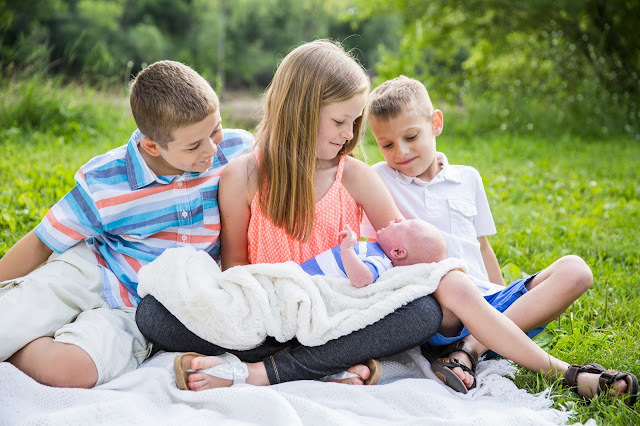 I’ve gotten to know Sam via Instagram and her blog and I’m really excited to have her here on MY blog today, sharing the story of her big, beautiful family! I have 2 stepchildren. Carson is 11 and Ava is 10. I also have one of my own Jack who is 9 on the 11th! 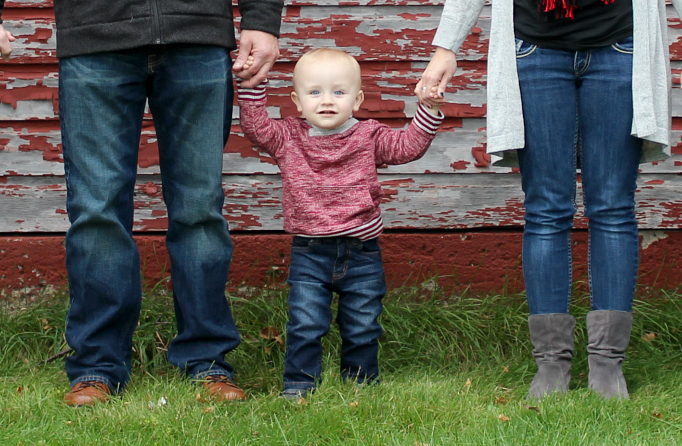 And together we have little Harvey who is 18 months. It’s our own version of “yours, mine, and ours”. 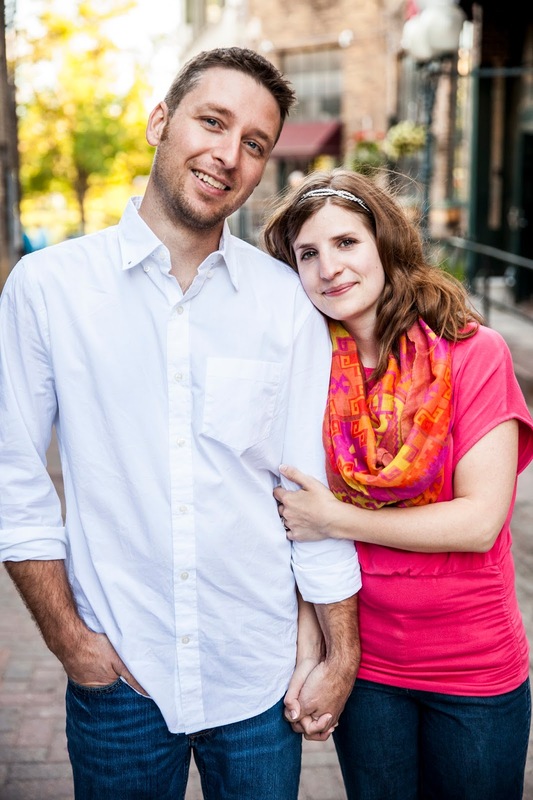 I met Caleb 4 ½ years ago while he was volunteering in Jack’s preschool classroom, which was his kid’s old preschool. I knew Caleb had 2 kids from a previous marriage before we ever talked beyond a “Hi!” in the hallway. I was 24 when we started dating and met the kids about 1-2 months later (I don’t remember exactly but I know it was early! Ha! – we broke lots of those “rules”). As a teacher, a mom myself, and fully aware of his kids it was an easy transition to love 2 more little kids. Plus it helped all our kids were so close in age and family dates were enjoyed by all! We bought a house together that October (about 8 months after we met – yep, another rule broken, haha!). Carson and Ava are with us Monday-Thursday or Monday-Friday – it’s joint custody with Mom having 51% and us having 49%. Jack and Harvey are with us 100% of the time. We have rotating holidays. -What does your stepchild call you? If you also have biological children, how does the role of titles (ie mom and dad) work in your family? Carson and Ava call me Sam. Always have, always will. I’m totally good with it. Occasionally they slip up and call me mom and the fear on their face breaks my heart. They’re just trying to love everyone. Harvey and Jack call me Mom or Mommy. Sometimes Jack calls me Sam to push my buttons haha. When talking to Harvey though, Carson and Ava always call me ‘Mom’ so Harvey knows who they’re talking about. It’s sweet and thoughtful and they did it all on their own. They definitely look at me as a mom and respect me the same way. In fact, if you ask Caleb he is pretty sure I get more respect (and the good conversations!). We first met completely unintentionally and unplanned. I was coaching middle school girls softball and Jack liked to come with and watch, play, and snack with the girls on the bench. During one game, a rain storm came fast and furious and my 4 year old decided it was no longer fun so I asked Caleb for help. He came with Carson and Ava, switched car seats from my car to his, picked up Jack, got him dry and warm, and let the kids play at his house till I was done. Instead of going back to the house, we decided to all meet for pizza. Carson and Jack had been playing happily and were thrilled to eat pizza with me. Carson wanted to sit next to me and chatted with me all evening. Ava was pretty shy and stayed close to Caleb, as far away as possible. I was worried at first, but eventually I learned that is just who she is (well was! She’s wild and chatty now!). After the first few times, there was and still is no issue. We’ve been really blessed. It’s pretty 50/50. To be honest our kids are pretty good and don’t need much currently, ha! Again we’re lucky but yes because we have such a blended family we both tag team as needed. 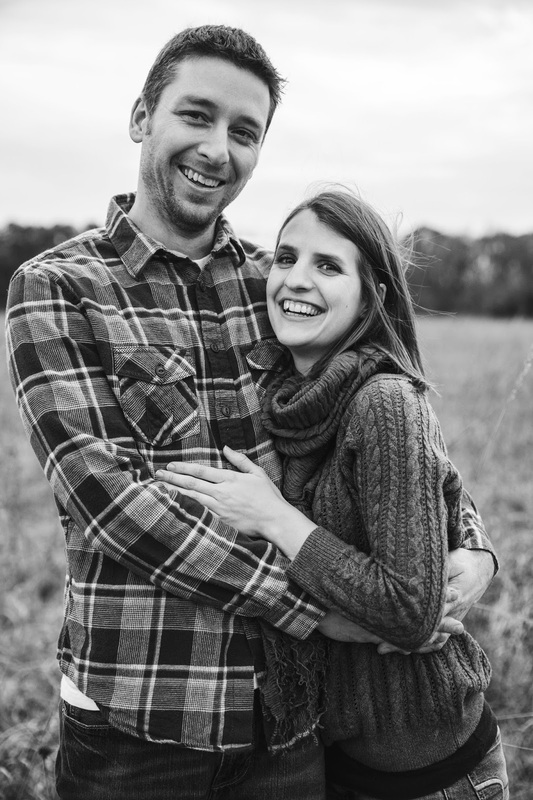 It’s not always simple though and Caleb and I both worry about damaging the many newish relationships involved. Since Harvey has come it’s been more clear that both Caleb and I have equal authority. We’ve also made it very apparent since day 1 that Caleb and I are a team. 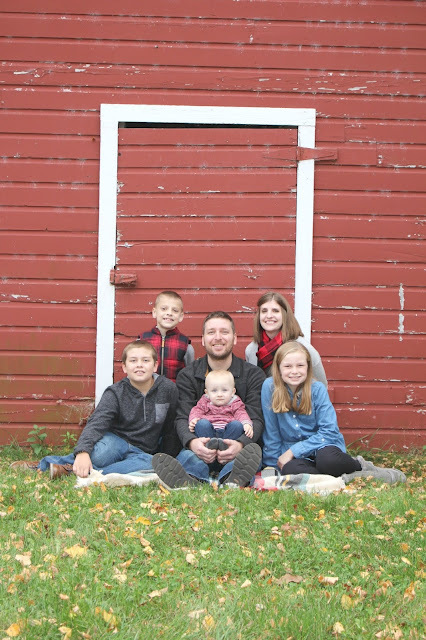 Carson used to and Ava has been getting more into the game of playing Dad and Mom against one another in the two homes so we knew that we had to be a united front in our home. -Do you participate in communication/relationship with your stepchild’s other biological parent? (Not your partner) If so, how much and how do you maintain that relationship? Nope, none. She doesn’t want to and to be honest I’m not sure I want to either. I avoid the door when she picks up the kids each week. It’s at dinner time so I usually just busy myself with cleaning the kitchen. I say goodbyes, I love yous, and what not upstairs and then give them their space. I’m cordial and polite and say hi when at joint events, but otherwise Caleb does it all. It works for us. I have no idea what another arrangement would feel or look like though. Something different could be better, but it could also be worse. -How do you decide what things to do when you don’t have the children (when the children are with their other parent) and what things you want to wait to do until you have the children with you? Ugh. This one is SO hard for me, and us. Seriously, it’s my least favorite thing about being a blended family. No matter how hard Caleb or I try, someone is missing out on something and man, it hurts! 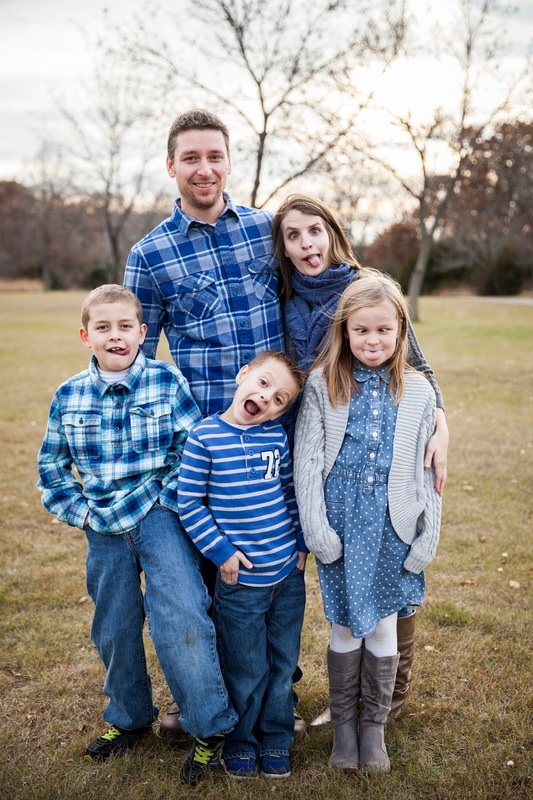 Their Mom isn’t always the most reliable when it comes to bringing them to sports and activities (she’s getting better), so we have always made sure they are on our days so the kids don’t miss out. Holidays are hard, but Caleb and my family’s are super awesome about celebrating holidays on off days if need be. Like this year, we celebrated Christmas on the 28th, but it was when we could all be together, so it worked. Other little things like fun day outings are hard. Jack, Harvey and I do those things on the weekends, because we have school during the week with everyone. So Carson and Ava miss out when they are at their Mom’s. Caleb always misses out, too, because of his weekend shift at work. But, during the summer it’s easy – we do them when everyone is together. It’s hard, it’s a work in progress, and we just always try to be mindful of their feelings. If we can do it on our days then we do, which occasionally leads to overbooked school nights but also happy kids. Give and take, right!? Court. I won’t get into it any more than that, I don’t want to focus on the bad. Court is just really not fun & even though I’ve never attended, I see the stress and sadness it puts on Caleb and it breaks my heart. Plus when you lose something you really want or think is best for the kids, that’s hard too. And you’re just along for the ride through it all with no legal say. Caleb respects my opinions and views on the kids and their well being, but no one else does. Oh wait! Just kidding, I take it back, I have a story! 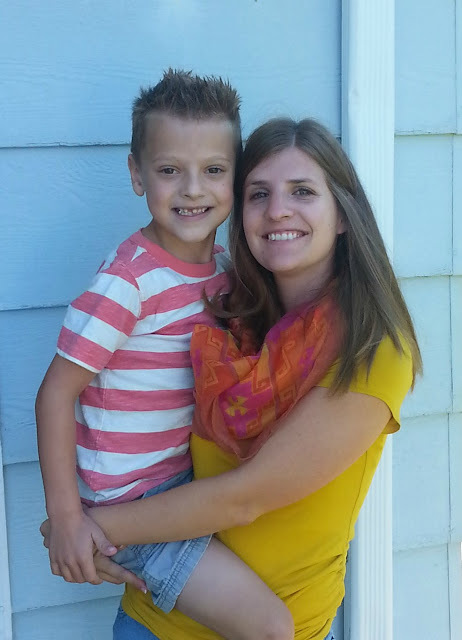 Earlier this fall, Ava’s teacher didn’t dismiss the kids on time so Ava missed the bus. Ava was perfect and did the right thing, by going to the office and asking to call Caleb to come get her. Needless to say he went and picked her up, while I waited for Carson to get off the bus. I was so livid though. Yes mistakes happen, but I still to this day think the teacher should’ve called the 6 families whose students missed the bus, not the students, and an apology would’ve been great. As a teacher (and friends with lots of teachers! ), we all agree that an apology or something should’ve happened. Anyway, I wanted to contact the teacher directly and discuss this, but there’s a line and sometimes I feel as a stepmom that I don’t always know where I’m allowed to go in that regard. So I hesitated and didn’t contact the teacher. And we heard nothing. UGH! It’s been months and it’s still eating at me. I should’ve stepped up, no matter where my role is in Ava’s life, and talked about it. What would’ve happened if Ava didn’t call? Or if Caleb and I weren’t home? So many things that bug me about it all. I was working on learning photo editing tips (very minimal!) in a course I took a year or so ago. The photo that I submitted was of Ava and I played with the filters and brightness, nothing else. Every single classmate commented on how beautiful she was AND how she is my twin. I still laugh to this day, because obviously she has zero of my genes, but she is beautiful, so I’ll take it! I guess I stock her closet, that counts for something. I think. Um – Caleb. Does he count? I didn’t honestly read much until lately. The first few years were hard and everything that I found was sooo negative, so I just avoided it. Caleb used to read a lot about the dynamic of their Mom and raising children through divorce etc. so I’ve always valued his thoughts and advice. We did read a book together that I thought was valuable – it was Christian based stepfamilies. (The actual title escapes me). I’m not good at this one. Sorry! 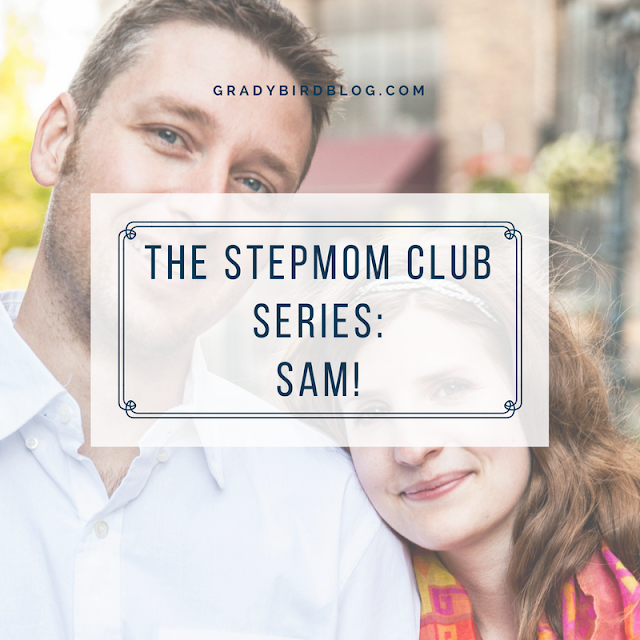 Lately, though, Grady helps, the other stepmamas on instagram, and sometimes just sharing my thoughts on my own blog is therapeutic. Never. I don’t think like that. I know they have a Mom and I respect that. Doesn’t change that I love them or Caleb dearly. I will admit in the early days, I was very very jealous of Ava at times. Her and Caleb were so close, I never felt like I’d be able to have that same relationship with Caleb or with Ava. I was wrong. But I didn’t know it then. It was big insecurity that popped up when I’ve never really been an insecure person. It was hard to work through for me. 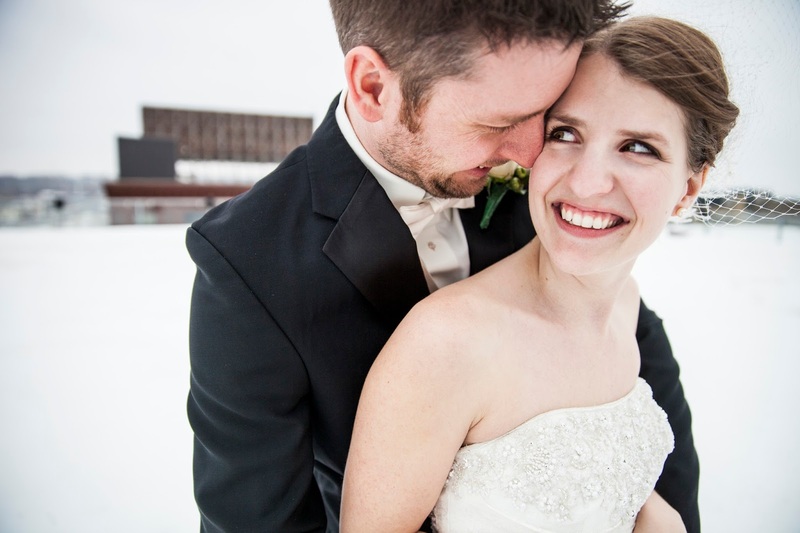 -What do you say when a stranger (waitress or something like that) refers to you and your spouse as mom and dad? (ie “Ask your mom and dad”). This happens all the time, we just smile and ignore it. The first time it happened though, Ava was really uncomfortable (and worried she’d hurt her Mom) and we just talked to her and said I know I’m not your Mom but sometimes it’s harder to explain to someone the situation, especially in such a short passing. When I meet someone for the first time and I know they’ll be around lots (like a teacher or coach) I make it clear, I am Stepmom. It puts Ava at ease and is easier to explain when Mom does come around. -How are you preparing for when the child might someday say “you aren’t my real parent” or if others say that to you? Eeks! I have nothing on this. Praying it doesn’t happen! -Was your now partner having a child or children a pro or a con when deciding whether to date and ultimately marry them? I never thought about it like that. It was just a fact and something that was a part of him. I will tell you though, his divorce and previous marriage taught him lots about how to be married and a committed husband. I really trusted and valued all that he has brought to our marriage, plus he is this amazing Dad which was really great to see. Without a doubt. It’s hard some days I wouldn’t tell someone otherwise, but I love Caleb, Carson, and Ava with my whole heart and I wouldn’t give them up for anything. Tell us three interesting facts about you that DON’T have to do with stepmothering. Also, please leave any blog or contact links below if you’d like that information to be featured here. I would love to open a bakery one day, making homemade candies and cupcakes. I love baking and would be in Heaven if it’s all I did all day! And even more thrilled if someone cleaned up after me! I talk in emojis. I have a serious problem with it. My top three most used are the cry laughing face, the blowing kisses face, and of course the rolling eyes face. I’m an online teacher, middle & high school math teacher to be exact. Everyone I meet happens to think I have the worst job in the world, but I wouldn’t trade it for anything! I love math and teenagers! Yes, you heard right. 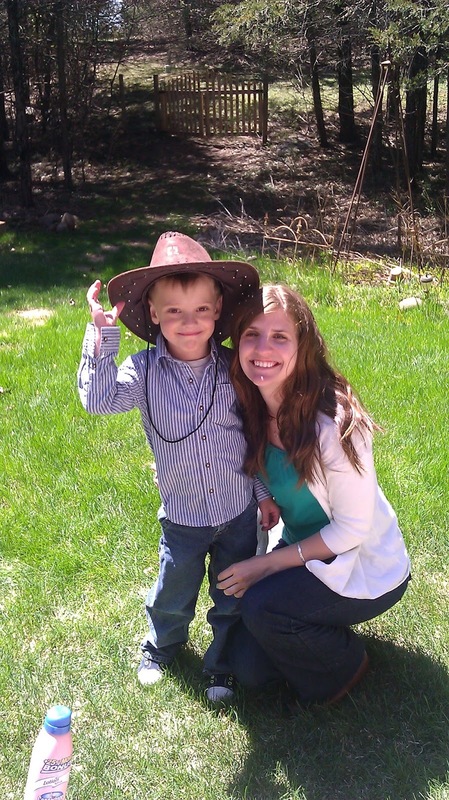 Thank you SO MUCH for sharing your story, Sam! I’m so grateful that you took the time to tell us about your beautiful, complicated, wonderful family! THANK YOU, THANK YOU, THANK YOU! Did you like reading Sam’s story? Want to read more in this series? Check them all out here!